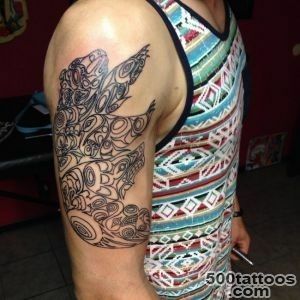 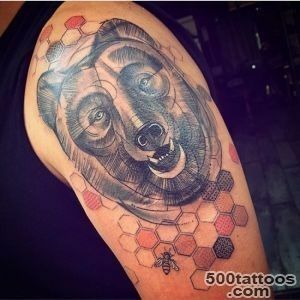 Bear tattoo represents strength , tradition , resurrection . 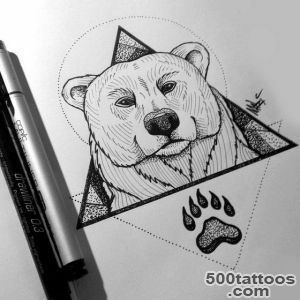 The value of the drawing will be directly dependent on the context in which the animal represented . 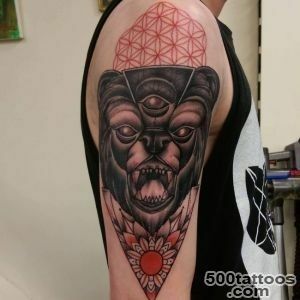 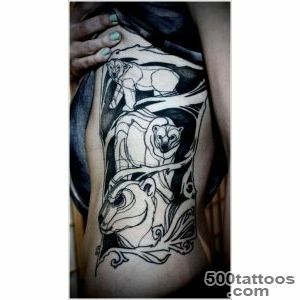 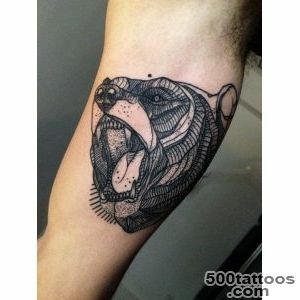 It can be represented obedient , good and wise , but also popular tattoos patterned evil , violent and ferocious forest king. 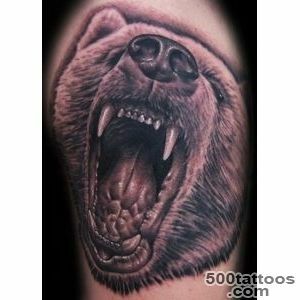 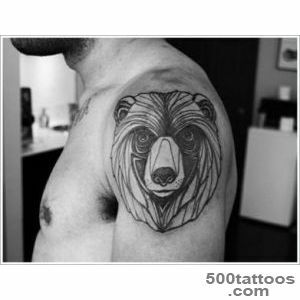 Anyway,bear tattoos represent the beginning of a new phase of life and rebirth. 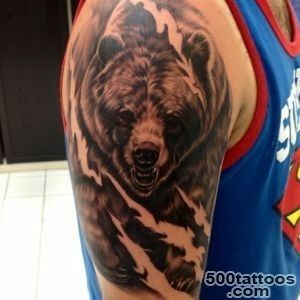 Also bear can be called a symbol of strength, courage , courage and self-confidence . 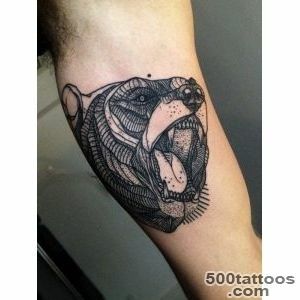 Sometimes the animal associated with the charity and fortitude . 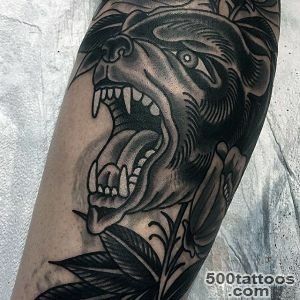 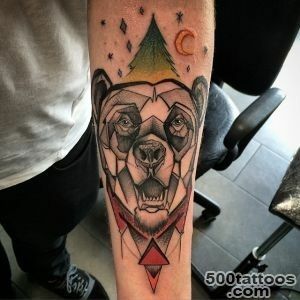 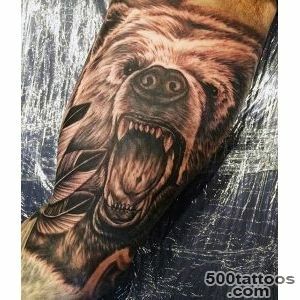 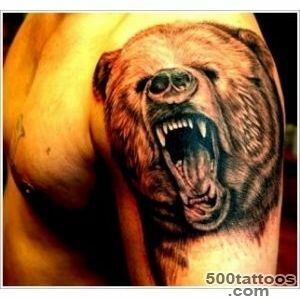 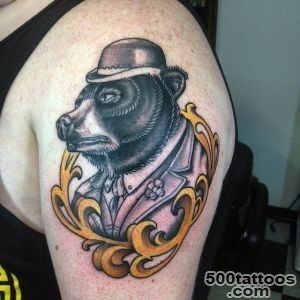 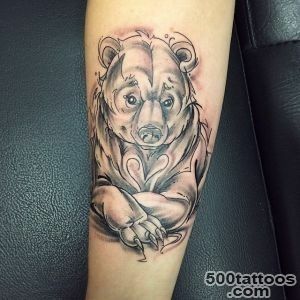 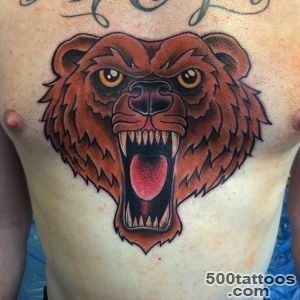 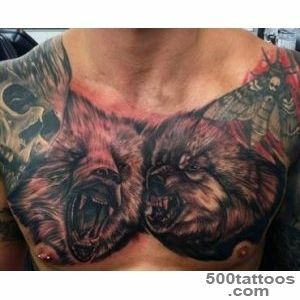 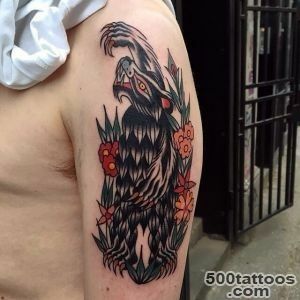 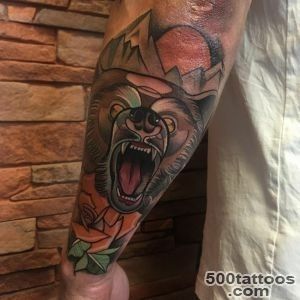 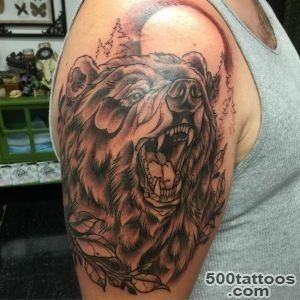 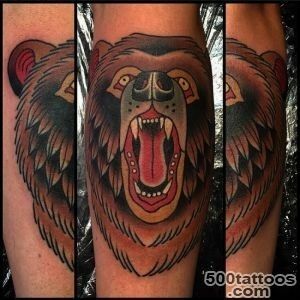 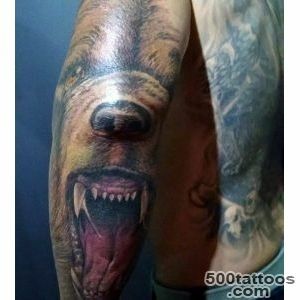 Tattoo male bear - this is purely a man's brutal variant , although the girls too,sometimes do not deny yourself the pleasure to get such a beast on the body. 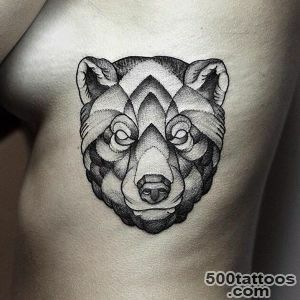 In this case, the image shows a female with a cub , and after talking about the revival of " hibernation ," mother's love and devotion. 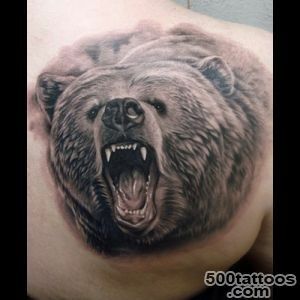 In ancient cultures bear always revered for his strength and power . 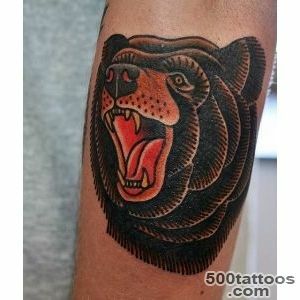 The image of the beast represented the warriors and courage .In the northern peoples bear can actually be called a god . 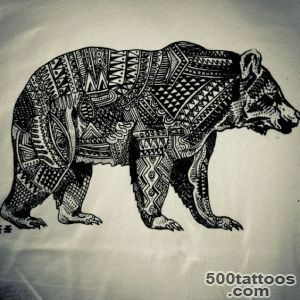 However , the bear - this magical creature that symbolizes the connection with the other world . 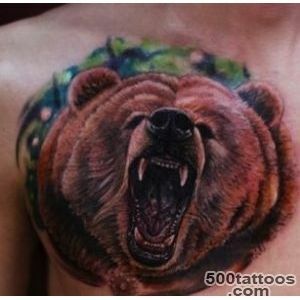 For many years, the bear is the official symbol of the Russian Federation . 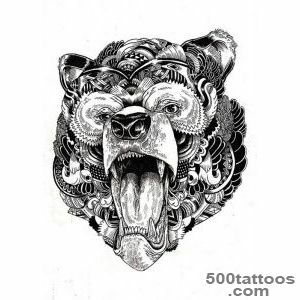 There are many legends and stories associated with the animal . 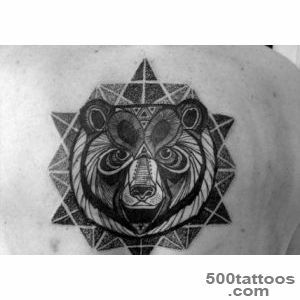 The Russian bear tattoos say about male courage .The Celts revered as representative of the moon's power , identifying the bear female symbol . 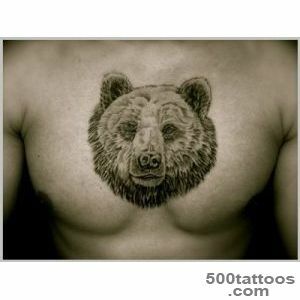 Warriors applied on the body image of the animal before going into battle , considering it a sign of masculinity . 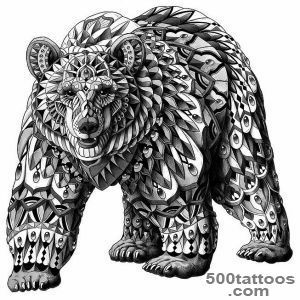 Japanese equate to bear the face of justice, speaking about a very important quality of the animal , of the patience .Native Americans revered bear for his fearlessness and omnipotence to help the animal deal with tornado and various natural disasters . 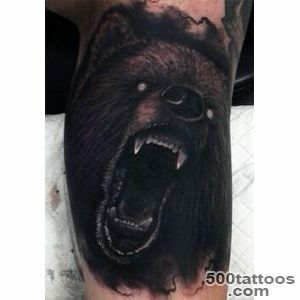 We must not forget that the bear was one of the incarnations of the Norse god Odin , and a great warrior , the god Thor. 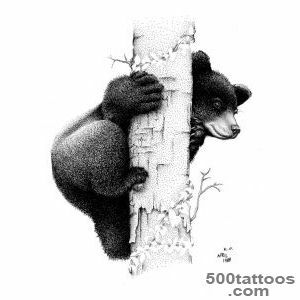 In Islam and Christianity bear considering wearing volunteer, speaking of violence,greed , vindictiveness consuming . 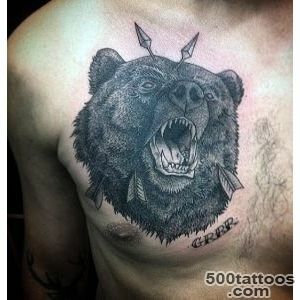 Western culture is associated with an animal sin of gluttony . 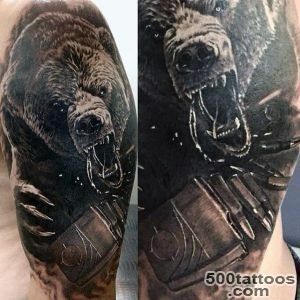 The Egyptian Pharaohs made ​​a bear tattoo to show the absolute power that no one could challenge , but ordinary people can not even think of such luxuries . 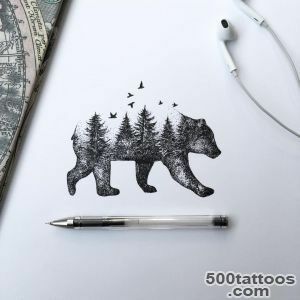 Bear can be called unique animals .Forest resident revered for inner kindness and softness , which can not even hide the threatening appearance. 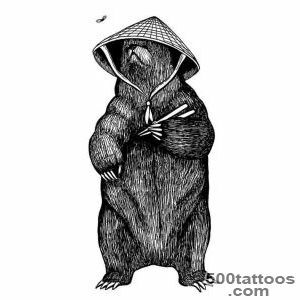 Therefore character is so different values ​​. 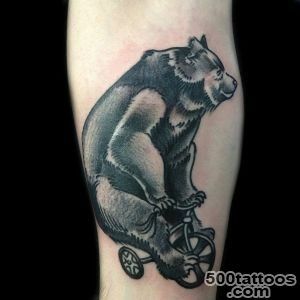 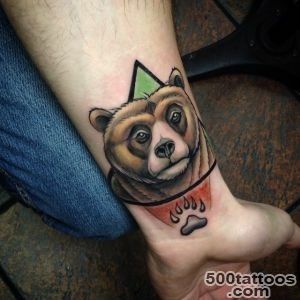 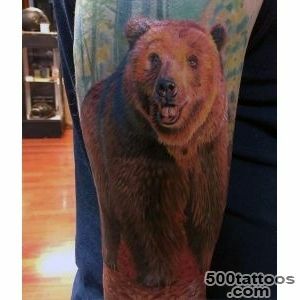 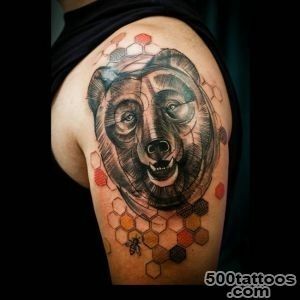 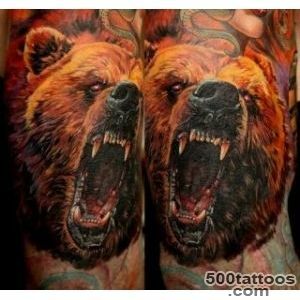 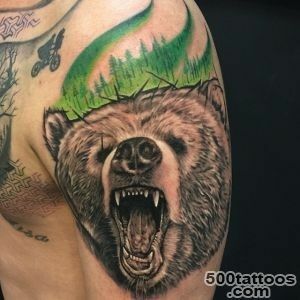 Speaking of bear tattoo , allocate a separate one of its kinds - picture white bear . 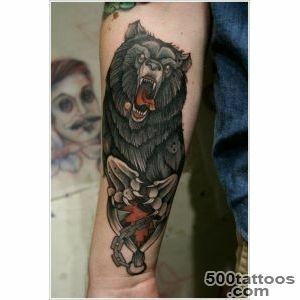 This beast represents the struggle for survival , the strong loneliness, joyous,courage and strong character. 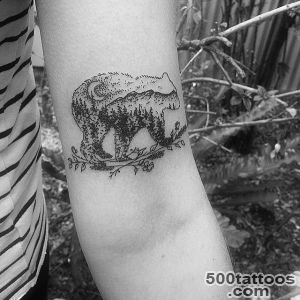 Also, the polar bear is called a sign of good luck , courage, and bravery of the hunter .